Lydiah Gatere joined the AgCenter as a Postdoctoral Research Fellow in August 2012. Her research focuses on testing a rapid soil information system composed of innovative field test kit (Soil Doctor) via information technology appropriate to African conditions to the digital soil map project. 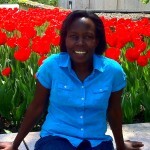 Lydiah has experience working in agro-biodiversity conservation in Kenya, the US, and Zambia. 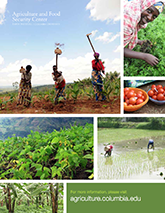 She received a Master’s degree in international agriculture and rural development and Doctoral degree in soil science at Cornell University, NY. Her dissertation research primarily dealt with conservation farming response to spatial and temporal effects across a wide environmental gradient in Zambia.